Sauter jammed along with guitarist and vocalist Elise McCoy, who’s head of DIME recruitment and admissions and “Junction” EP producer. At one point during the show, the crowd affectionately and collectively flipped off Sauter in honor of his 26th birthday. That appreciation is a strong sign of great things to come from Sauter, who’s starting to musically soar as Adventures with Vultures. 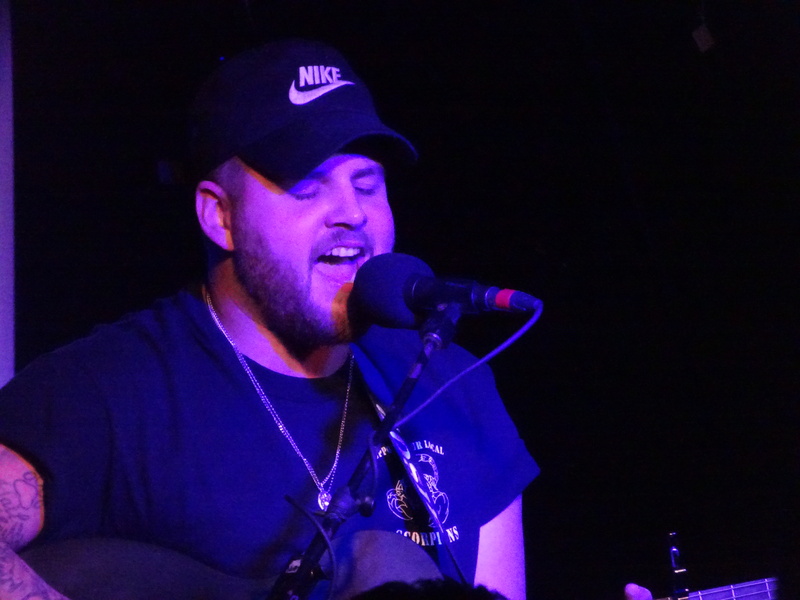 Before Adventures with Vultures closed out the show, Brother Elsey (formerly Fifth and Main) played an energetic, rootsy set filled with folk, rock and country tunes. 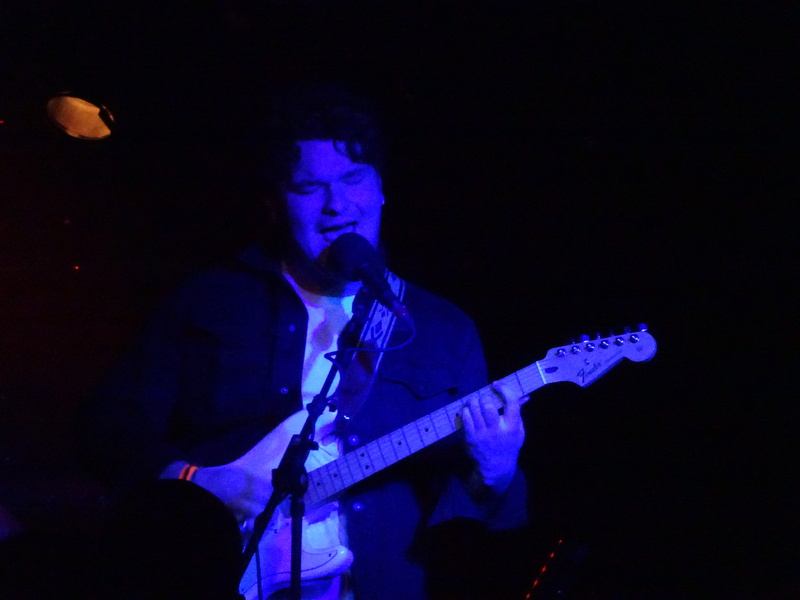 The Detroit-based band features brothers Jack Stablein (harmonies and guitar), Brady Stablein (vocals and guitar) and Beau Stablein (bass), who cite Ryan Adams as one of their influences. Brother Elsey setlist favorites included “Sarah,” “Wildfire” and “Notice.” Hearing their music in January conjures up images of taking a road trip on a calm sunny summer evening – it would serve as the perfect soundtrack. The band will release their new EP “Matador” soon and play a headlining show Feb. 9 at The Magic Stick in Detroit with Beta Camp, Caleb Kopta and Signature Mistakes. 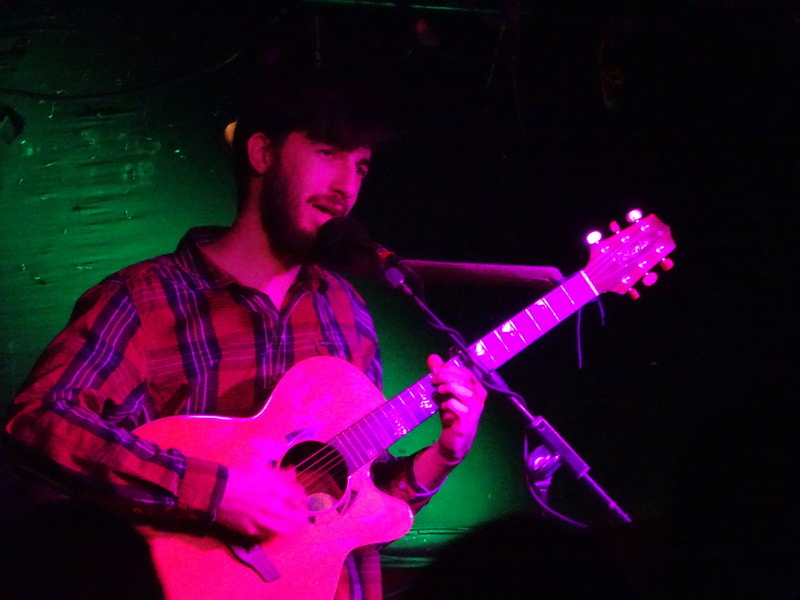 The Blind Pig show also introduced concertgoers to Trenton, Mich., trio Great Expectations, who shared their emo indie folk sound that’s influenced by Death Cab for Cutie and Gomez. Great Expectations soothed the crowd with songs from their self-titled and “Take What You Give Me” EPs. The band includes Brandon McDole (vocals and guitar), Billy Pompey (drums and guitar) and Austin Stawowczyk (bass). During their set, someone in the crowd jokingly asked if the band had a Myspace page. The band features Ana Gomulka (vocals and guitar), Taylor Greenshields (drums and percussion), Ian Griffiths (bass and vocals), Emory Kimball (tenor sax) and Andrea Cruz (keys and vocals). Gomulka’s sultry vocals on “Daybreak,” “Surface Tension” and “Dear Alice” readied the crowd for the musical adventure that awaited them. During the band’s performance, artist Leo James Willer created a painting live on stage, and his brushstrokes moved in unison with the music. A sweet, creative start to a fun-filled evening with four of the Motor City’s best new artists. 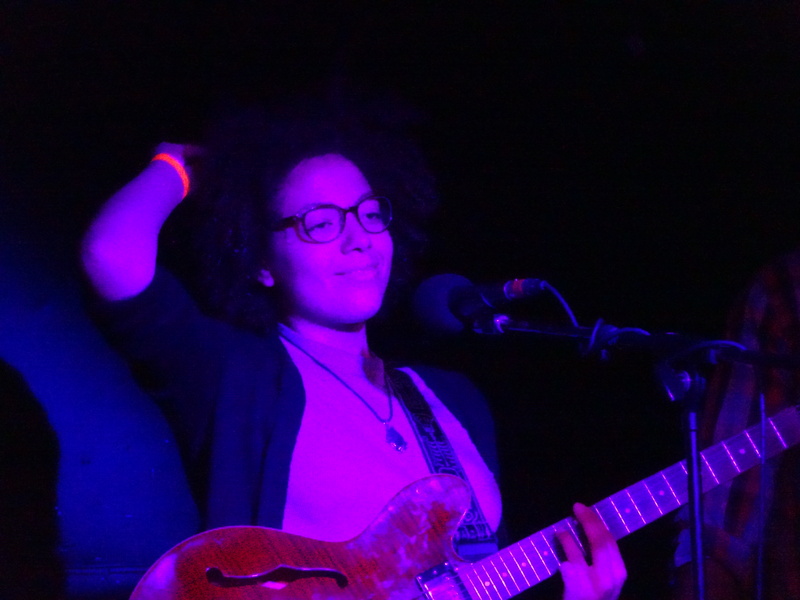 Honey Monsoon’s Ana Gomulka performs at The Blind Pig in Ann Arbor.